The most common concern for women while wearing ethnic clothing is that it might make them look shorter and give their body a false shape and who doesn’t want to look taller in Indian wear. I know we all love our ethnic wear, but we get worried because sometimes the flowy silhouettes and heavy, rigid fabrics can make us look stocky and bulky. Now if you have a decent height, then it won’t make that much difference. But if you fall on the shorter side of the height gauge, it can be a serious problem. So, in this post, I’m going to give you some styling tips to look taller in Indian wear. There’s a reason why women go for tailor-fitted clothes rather than ready-made. The kurtas or lehengas you buy off the rack are made of standard size, which could be a bit tight or a bit loose for you. Both the conditions are not favorable to achieve that stunning look you want. So try to get off-the-rack ethnic wear altered to perfection by your tailor. 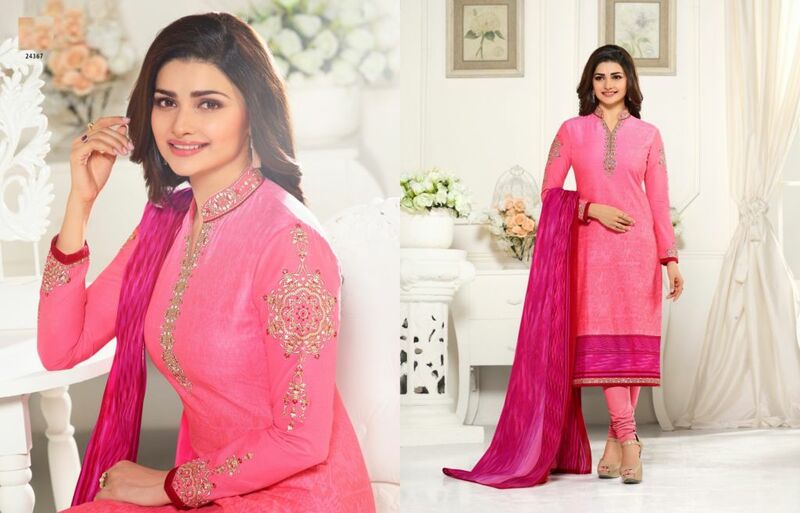 It will accentuate your figure well and make you look taller in Indian wear. 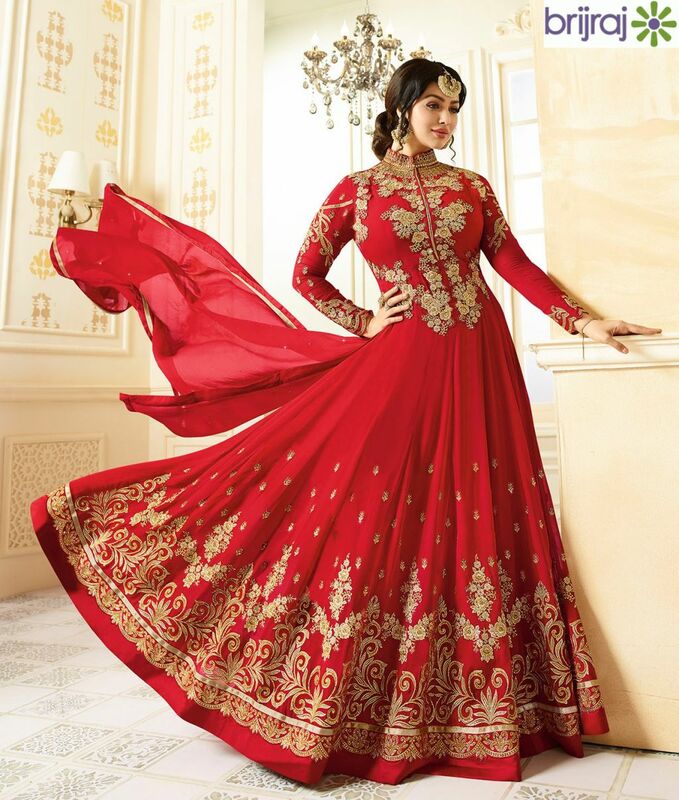 Lehengas are the favorite choice for many when it comes to weddings or family functions. But there’re a few things you need to keep in mind while wearing a lehenga. The choli should be of perfect fit and should end right under your bust-line. 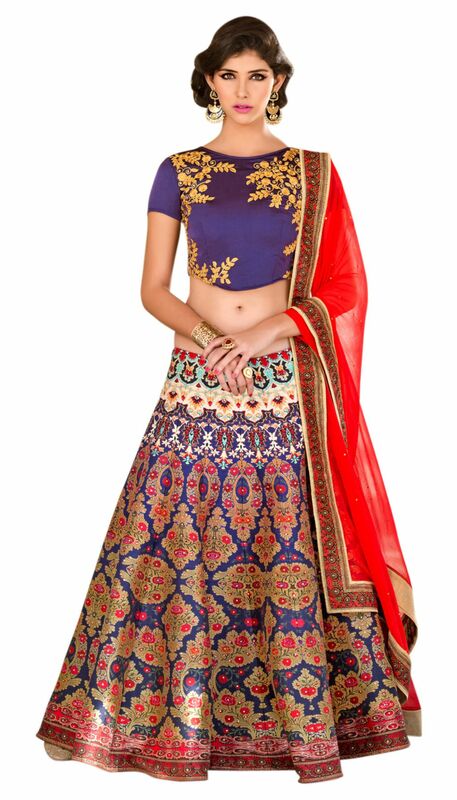 The lehenga skirt should be tied around your navel. This will give you a taller appearance. The dupatta should be draped vertically or diagonally like a saree pallu, and not like a shawl. This will create vertical long lines across your outfit and make you look taller and slimmer. Anyone can look gorgeous in a perfectly draped saree. Make sure you tie the saree on your waist, around the navel and not any higher. A low waisted saree will give an elongated appearance to your torso and make you look slender. You can also wear comfortable heels to add a couple of secret inches to your height. Try to opt for flowy fabrics like georgette and chiffon. The heavier and more embroidered pieces can make you look bulky. Also, check out my post if you want the ultimate cheat sheet for wearing a saree. A kurta has to be the most comfortable piece of Indian wear for women. They come in so much variety with so many designs and styles that you just can’t get enough of them. But donning this comfortable item also requires some details. Like, do not wear a kurta that ends at your knees. This divides the outfit into two equal parts and makes you look shorter. Instead, opt for thigh length kurta to wear with salwar or churidaars. Or, you can also go for longer length kurtas that go all the down to your feet, like anarkalis. They can also give you an illusion of a taller person. If you love wearing suits then do read my post on how to style punjabi suits. This is another important tip to look taller. Churidaars and leggings are smart-fit and make your legs look slender and longer, as compared to traditional salwars. If you like wearing wide-legged bottoms like palazzos, shararas, skirts, then wear a short kurti with them. You can also wear wedges or heels to elongate your look. The devil is in the details, small things can make a great impact when it comes to looks. Like, when choosing neck cut for your blouse or kurta, make sure to opt for deep necks or V-neck cuts. They will showoff your neckline and give you a slender appearance. Similarly, too much prints and embroideries can make you look stocky and bulky as the fabric gets heavier, so opt for light prints and fabrics. For more details on how to look thin, check this post. I hope now you’d be able to look your best in Indian wear and won’t worry about these issues. If you’re facing some more problems regarding the same, please ask in the comments.